Linux sound software has been the foundation of my music studio since the late 1990s, but as we all know, that software won't produce so much as a peep without the right hardware. Setting up a stable Linux system for audio production can be problematic enough, and the wrong decision about your hardware can render your otherwise powerful system mute and tuneless. This article briefly describes some of the audio production hardware I've acquired and employed here at Studio Dave during the last ten years. I hope that my readers find this information helpful when making their own decisions about their audio hardware purchases. Some caveats: the gear described here is oriented toward music production, not consumer audio requirements. However, Studio Dave is hardly what I would call a professional studio, so please understand that when I use the term "professional", I'm referring to the equipment, not my studio's physical plant. Also, bear in mind that features common to consumer-grade devices might not be found on equipment designed for use in audio production, so if you're looking for the best soundcard for playing MP3s and DVD surround-sound audio, these devices are not likely to be your best solutions. I'll get into the reasons later, but now, let's see what hardware devices I use in my studio and how I'm using them. Studio Dave includes two desktop machines dedicated to audio/video production and a notebook for miscellaneous tasks. The desktop boxes are equipped with M-Audio Delta 66 digital I/O systems and Creative Labs SoundBlaster soundcards. The M-Audio systems are slightly different from one another. One box uses a plain-vanilla Delta 66 with only the internal card and an external break-out box that provides jacks for balanced or unbalanced 1/4" plugs (Figure 1). 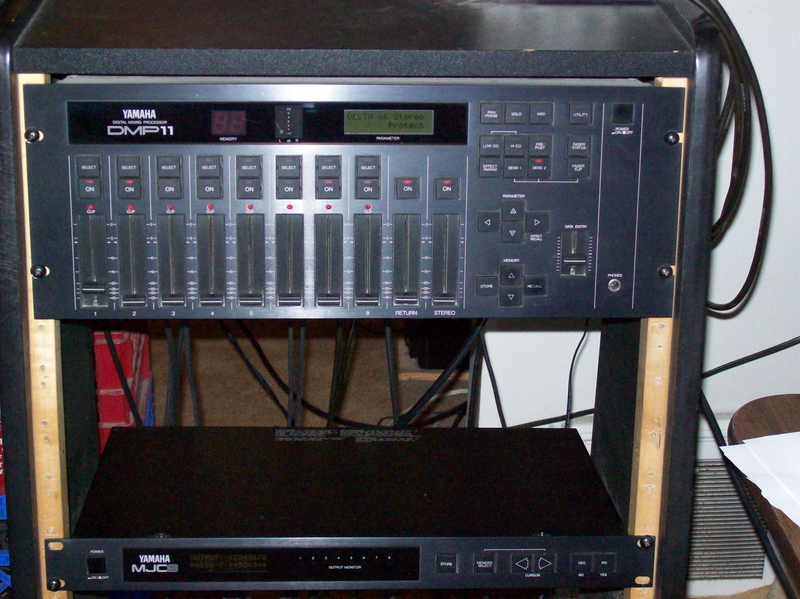 The other machine includes the same internal card, but the break-out box has been replaced by the M-Audio Omni I/O box (Figure 2). This unit furnishes the same audio connectivity as the regular break-out box, adding amenities, such as a mic/line pre-amp, two headphone jacks, and a variety of controls for audio levels and effects sends. 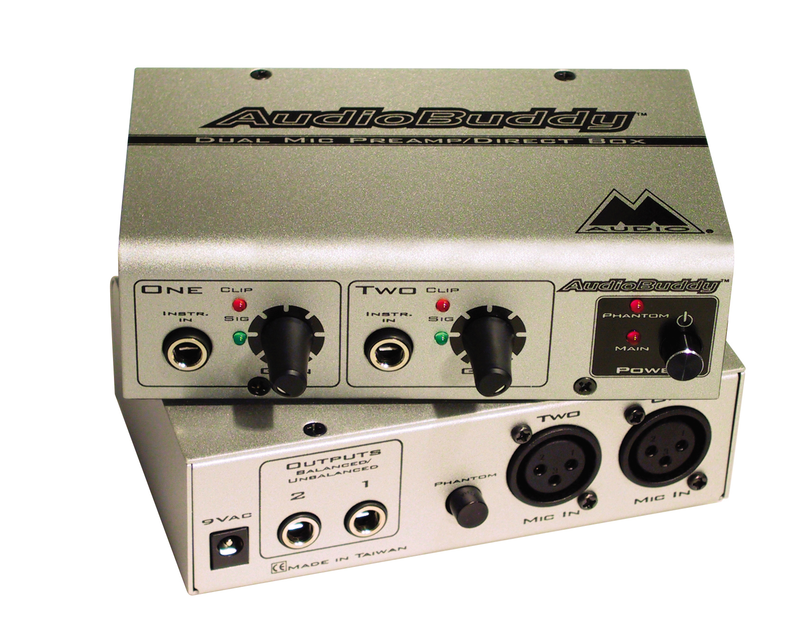 The plain-vanilla system requires a pre-amp in order to achieve strong and clear input levels, so I've added an M-Audio AudioBuddy (Figure 3) pre-amp to the system to boost my microphone and electric guitar signals. The pre-amp raises the output signal from a typical dynamic microphone or electric guitar to a level better suited to digital audio recording. 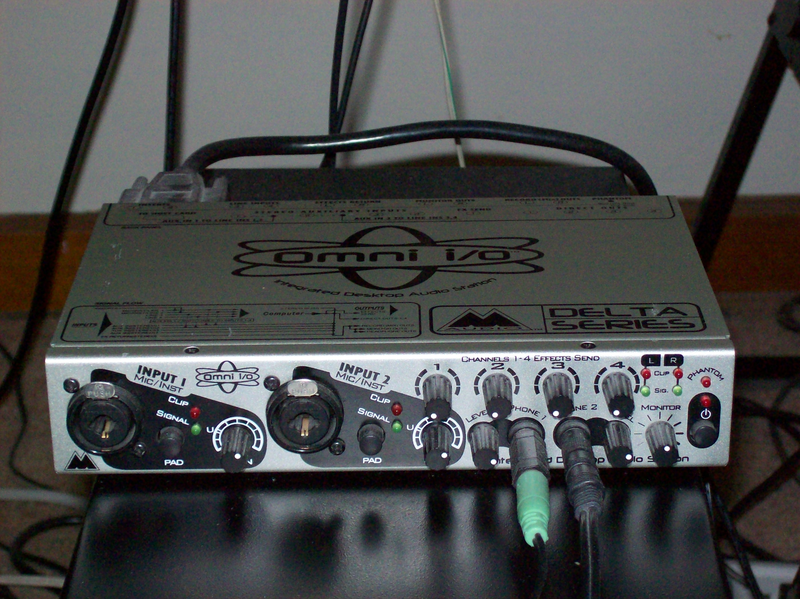 Some consumer-grade soundcards include a mic gain channel, but inherent noise is still a significant problem with such devices. Kernel support for the M-Audio interfaces comes from the ALSA snd-ice1712 module. Unlike consumer-grade devices, such as my SoundBlasters, the Delta cards do not include an integral mixer. 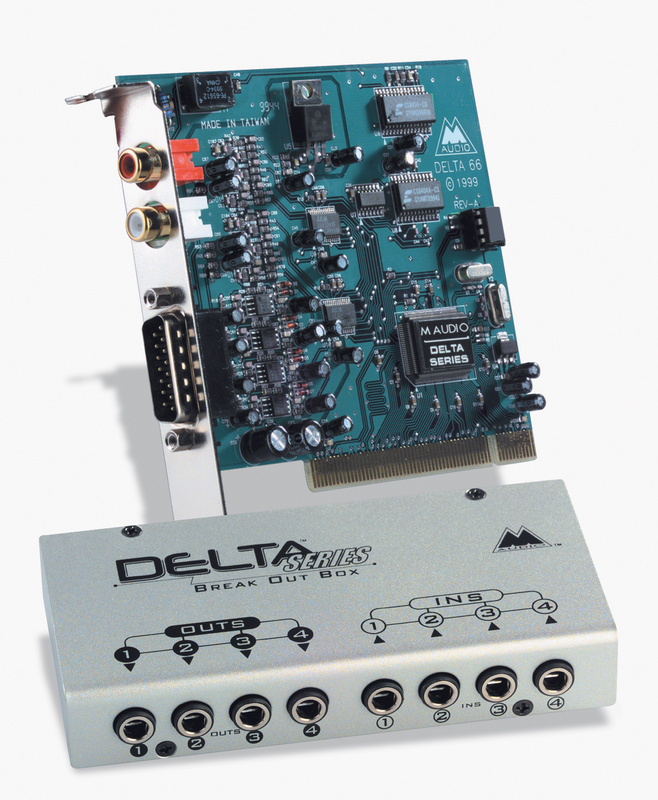 The Delta supports four channels of analog audio I/O and a stereo S/PDIF digital I/O connection. It has no synthesizer, no MIDI or game ports, and no on-board mixer. This design is not a problem for a DAW system centered on JACK and Ardour, but some normal desktop audio applications fail to recognize a device without an integral mixer. As I said, this hardware is not designed for normal desktop audio applications. ALSA supplies the Envy24Control mixer for systems based on the ice1712 chipset (Figure 4). 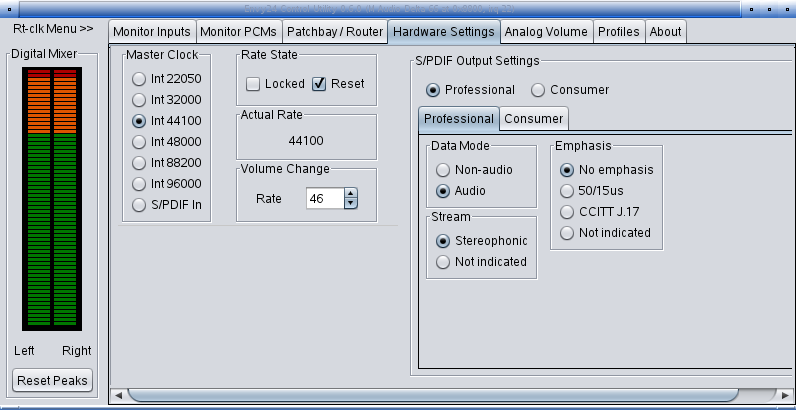 This utility organizes the features of the M-Audio hardware and presents them in an easy-to-understood GUI. The alsamixer program can be employed instead, but it lacks the logical organization and usability of the Envy24Control software. The SoundBlaster cards, a Live Value and a PCI128, are installed for their MIDI hardware. Thanks to ALSA's snd-emu10k1-synth driver, I can employ the Live's on-board synthesizer, but software such as QSynth and SoundCrab have eliminated the need for it. More important, the snd-mpu401-uart driver enables access to the MIDI ports on the SoundBlasters. A special cable attaches to the game port to supply two MIDI ports, one input and one output, for connection to external MIDI devices. My current notebook claims the ubiquitous (notorious?) Intel HDA as its integrated audio chipset. 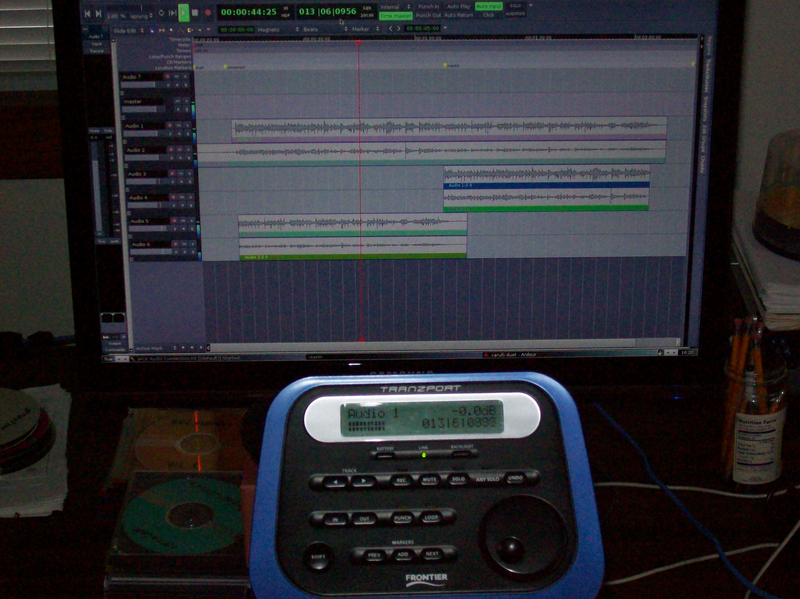 Unlike my desktop machines, I've kept the chipset active, but it's hardly a useful device for serious recording. That's okay, because I don't plan to use the notebook for serious work, but I do want audio I/O superior to the HDA chip. 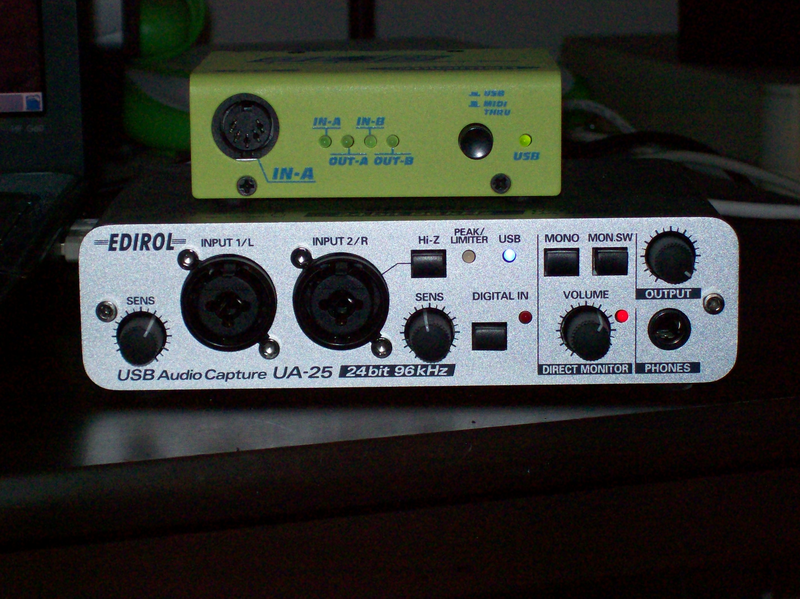 I made some inquiries on the Linux audio users mail-list and decided to buy an Edirol UA25, a USB audio/MIDI interface (Figure 5). I still need to lower its latency when working with JACK, but its output sound quality is much better than the on-board chipset. The device also offers variable sample rates, digital I/O ports, MIDI connectivity, a 1/4" headphone jack and a built-in peak limiter. Linux support for the UA25 comes from the snd-usb-audio module and nothing else (that is, no firmware). The unit draws its power from the USB line; no batteries are needed, and it can be hot-plugged at will. I also have a couple items left over from the days of my now-defunct HP Omnibook. That machine was too slow to do much useful audio work on its own power, so I expanded its capabilities with a CoreSound digital audio input card and a MidiMan MidiSport 2x2 (Figure 5). The CoreSound device is driven by the ALSA snd-pdaudiocf module, and the MidiSport requires the same snd-usb-audio module as the UA25. Alas, the CoreSound card requires a PCMCIA slot that's not available on my new notebook, so that device has been retired. The MidiSport is still perfectly usable. The MidiSport also requires firmware and a firmware loader. The necessary packages are available for all major distributions and most package managers will provide complete installation of the software, but further action may be required. For example, the Ubuntu 8.10 system on my notebook provides the midisport-firmware package. When I selected it for installation, the package manager also installed the fxload utility, but I still had to edit /etc/fstab to set up the usbfs driver for the device. On reboot, I had to unplug and reconnect the unit to activate the firmware. After reconnection, the I/O lights flash for a moment, the USB light remains on, and at that point, the device appears in the MIDI devices listed by QJackCtl. I searched Google for a way to activate the unit completely on boot-up, found an excellent HOWTO on one of the Ubuntu forums, followed its directions (and added a few of my own), and now the unit is functional by the time startup reaches the login dialog. It takes some work, but I no longer need to hot-plug the device to get it started. My most recent audio extender is a Frontier Tranzport (Figure 6), a wireless controller for the Ardour DAW. The Tranzport provides remote control of Ardour's record and playback transport controls, freeing me from having to trek back and forth between the computer and my recording seat. Support for the device formerly depended on libusb, but recent development has produced a more stable kernel driver. Developer Mike Taht has revised his earlier work in Ardour to support this new driver, and I'm pleased to report that Mike's labors have resulted in perfect operation of the Tranzport. A few features are still missing from his latest code, but those items are likely to be supported by the time this article is published. I have a standing rack for synthesizers and other external gear, but over time, my need for hardware synths has dwindled to naught. I have kept two pieces there: a Yamaha DMP11 mixer and a Yamaha MJC8 MIDI patch bay (Figure 7). The DMP11 is my main system mixer; the MJC8 is connected to every other MIDI connector in the studio. Thus, I can use any machine as a MIDI control device for the other machines, a rather nice arrangement. Yes, I know they're not really little boxes, but they are central pieces in my system, and they are connected to some (most) of the boxes described in this article. So, what hardware is coming soon to Studio Dave? Well, thanks to Dan Sawyer's excellent review of the Behringer BCF2000 (subscribers only) I'm convinced that I must have one. I refer readers to Dan's article for the full scoop on this neat piece. In brief, the BCF2000 is an automatable mixer that can be controlled from a DAW, such as Ardour or QTractor. I already have a good mixer, but the BCF has motorized faders, and what could be sexier than flying faders? I'd also like to buy a Firewire audio interface. Thanks to the FFADO Project, now I can choose from a variety of Firewire devices, and I want to try one. I welcome suggestions from my readers, so if you'd like to steer me toward something or warn me off, feel free to make your recommendations in the Comments section.